Niall Scully’s Two Goals proved the highest commodity for the Dubs in Phase 1 tonight. 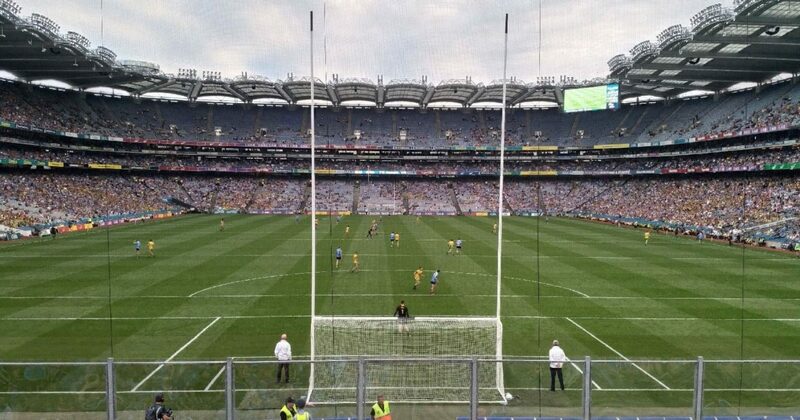 53,501 people descended on Croke Park for the first double header of the all new All Ireland Super 8 competition that replaces the regular quarter final stage. 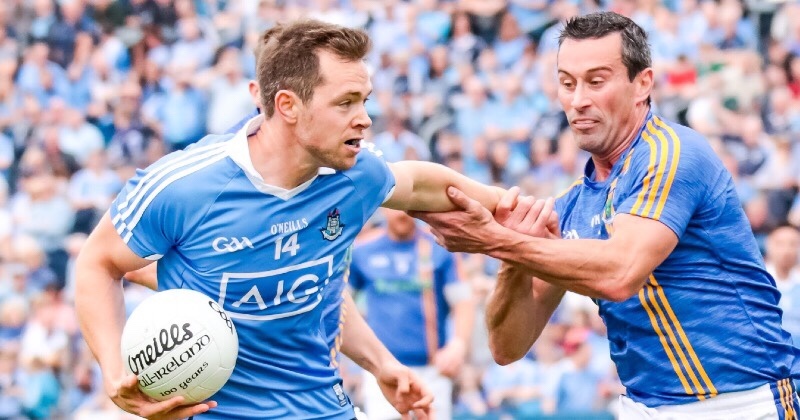 And Jim Gavin’s Dublin football side, while not at their best, were convincing enough to get the first win under their belts against Donegal before a trickier test next weekend in Healy Park against Tyrone. Niall Scully was on form this evening, scoring both Dublin’s goals to help his side to the win. Gavin made three late changes to his starting 15 with Cian O’Sullivan, Jack McCaffrey and Eoin Murchan coming in to replace Philly McMahon, Eric Lowndes and Paddy Andrews. Donegal to their credit stood up to the stern Dublin football challenge, with a healthy 0-16 on the board but Dublin’s character carried them.over the line. With Dublin registering the first two scores of the day, thanks to two Dean Rock placed kicks, Donegal responded positively with three from play, and in a cat and mouse display edged ahead of Dublin on a couple of occasions. There was nothing to seperate the sides for the opening 25 minutes, with Jamie Brennan, Frank McGlynn, Ryan McHugh and Michael Murphy all successfully taking on the Dublin defence. But in the 27th minute of the half, Dublin broke the deadlock as Scully made a weaving run opening the Donegal defence and during the ball neatly into their net. Minutes later Donegal had to appeal as the referee denied them a penalty as Michael Fitzsimons made a desperate tackle on Jamie Brennan forcing his close range shot wide. At the break Dublin were four the better on 1-09 to 0-08. While a little lacklustre in the first, they stormed into the second half, scoring his second goal within minutes of the restart after a perfect pass from Jonny Cooper. Dean Rock stretched the lead to 0-08 and it looked like business as usual for the All Ireland Champions. But Eamonn Doherty, McHugh, Jamie Brennan and Michael Lanagan hit the next four on the bounce to stay close at 2-10 to 0-12. The introduction of Cormac Costello and Paul Flynn proved the still existing strength of Dublin’s bench, embracing the chances on offer, both firing a brace from play in the second half. Brian Fenton and McCaffrey will be disappointed not to find the net as they squandered goal chances that could well have killed the game completely. All they could do was hold as much possession as possible to end the session and put them in a solid position ahead of next weekend’s encounter in Omagh.